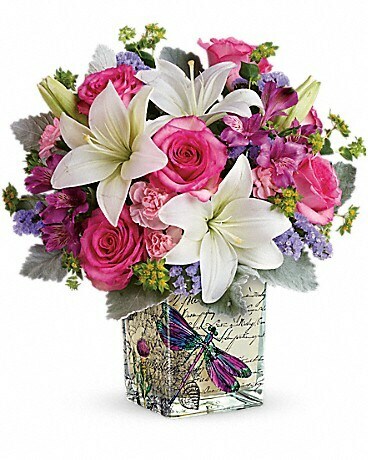 A poem in flowers, just for mom! 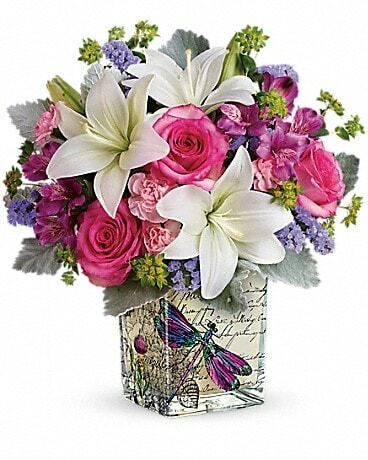 Give her a Mother's Day gift she'll never forget with this European-inspired cube vase, filled with fresh lilies and roses. 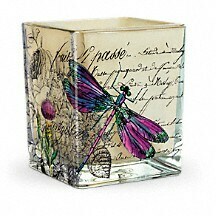 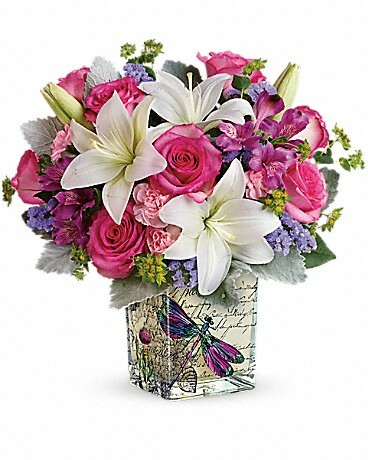 Adorned with a delicate garden motif, this glass cube is part of Teleflora's exclusive Flowers-in-a-Gift collection. A gift this beautiful is perfect for Mother's Day and will be cherished for years to come!